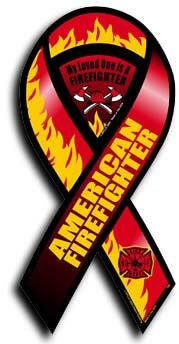 Support the firefighter you love with this 4" x 8" magnetic sign. This sign adheres firmly to any flat metal surface. Great for display on your car or refrigerator.